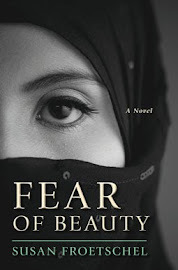 "Stunning" - that is the consensus on the cover for Allure of Deceit, the sequel to Fear of Beauty set in the remote and fictional Afghan village in northern reaches of Helmand province, due to be published in February. Most then wonder about the identity of the little girl in the cover photo. Many have asked how they can help her and her family. Her identity is unknown and the image comes from Corbis, a company that supplies stock images. The AP photo was taken by photographer Emilio Morenatti in Peshawar, Pakistan. "Emilio has years of experience in war zones, working for AP in Afghanistan, Pakistan, Israel and Palestinian Territories," notes his bio. "While on assignment in Afghanistan on 11 August 2009, Emilio was injured in a bomb blast. He is now back in action and based in Barcelona as the AP chief photographer for Spain and Portugal." The Corbis site offers a simple caption about the child: "A Pakistani child looks on as women covered with burqas from the tribal region of Bajur and Mohmand agency wait to be registered at the Jalozai refugee camp near Peshawar, Pakistan on Friday, Jan. 30, 2009. More than 200,000 people have fled the fighting in Bajur and Mohmand agency to camps in Afghanistan and Pakistan." The young girl with visible bruises is probably a teenager by now and could have moved on anywhere in the region. We hope the bruises have healed. As briefly touched upon in Fear of Beauty, it's not unusual for communities and families to be displaced by fighting and violence time and time again. Conflict has driven millions of Afghans to flee to crowded refugee camps. Pakistan hosts 1.6 million registered Afghan refugees, "the largest protracted refugee situation globally, reports the UN Refugee Agency. The agency has helped return of 3.8 million Afghan refugees, or more than 10 percent of the Afghan population. With support from the Pakistan government, refugee children have access to public schools and there health clinics for families, the agency reports. Returns are voluntary with agency and NGO assistance. More than 40 NGO partners assist the UN Office of the High Commissioner on Refugees. "Within the 2014 budget, USD 58.1 million is allocated for the refugee programme, USD 28.6 million for the protection and assistance of conflict-related IDPs and USD 60.8 million for development projects aimed at the peaceful coexistence of refugees and host communities." The UN agency has identified more than 10 million refugees of concern worldwide. A special area of concern is Syria, where brutal conflict has driven more than 2 million people to flee the country and displaced 4 million more internally. Funding is tight for refugee services. The World Food Programme has announced it is ending food vouchers for Syrian refugees: "the United Nations said it simply doesn't have the funds to continue providing the vouchers, explaining it needs 51 million euros to support the refugees just until the end of December," reports Ruth Michaelson for RFI. The United States may grant refugee status or asylum to those persecuted or fearing persecution over race, religion, nationality or over social groups and political opinions. Hunger, joblessness, a lack of classrooms and education in refugee camps, supposed to be temporary, present a humanitarian and global security crisis. 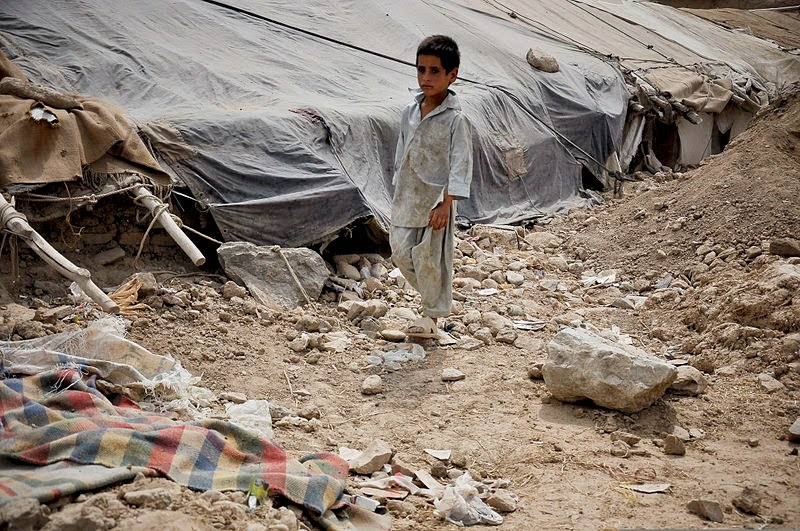 Photo of Afghan boy in a Kabul refugee camp, 2011, courtesy of SrA Christopher Hatch and Wikimedia Commons. 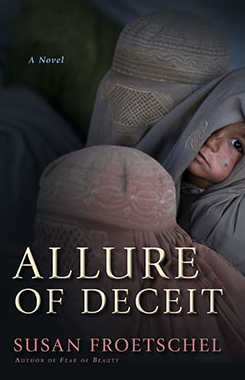 Much thanks to photographer Emilio Morenatti and designer Jacqueline Nasso Cooke for the cover of Allure of Deceit. Donations to assist refugees can be made directly to the UNHCR.